Reports today suggest the National League are going to introduce the Designated Hitter rule from the beginning of the 2017 season . When it finally happens the National League will be worse off. 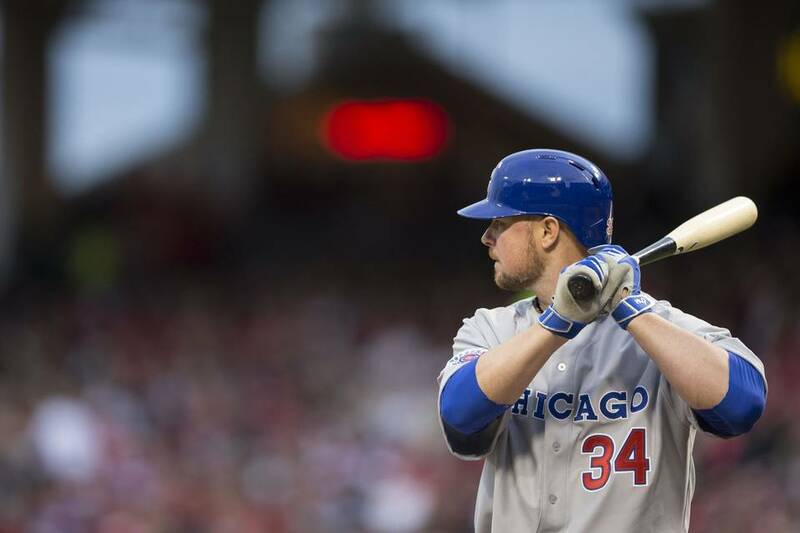 Jon Lester’s quest for a hit captivated baseball fans. It’s one of the most controversial rules in baseball. Should the pitcher hit, does it devalue the game, does the DH rule offer guys like David Ortiz a longer (and more successful) major league career than they would otherwise have? There are many questions about the National League and their decision to have avoided the DH rule and it’s a decision that splits fans. The pitcher hitting changes the game. Pitchers approach their starts differently, small ball is more important, managers are forced to manage the game on a deeper level and in extreme cases, Bartolo Colon does Bartolo Colon things. At its core baseball is more a narrative than it is a game. Much like a good book, every chapter ebbs and flows and each small decision can lead to dire consequences or unbridled success. To remove the designated hitter is to remove part of the theatre that makes baseball such a perfect metaphor for life – a series of decisions where the primary goal is to get ahead and stay there. Clayton Kershaw’s Opening Day win in 2013 wouldn’t have been as good if he didn’t hit a solo Home Run to give his side the lead, the legend that is being built by Madison Bumgarner wouldn’t be the same if he was only as productive on one side of the ball. What about the 2007 World Series? Daisuke Matsuzaka got his first ever professional hit and drove in a run in a big spot. These moments are gone when the DH comes to the National League. The above examples are blips on the radar, but that’s what makes them so special. If baseball had storybook endings every night the audience would be diminished. Fans love the unusual and baseball is the perfect laboratory for the insane. On of the most underrated parts of the Designated Hitter rule comes into play years, if not decades before a pitcher ever sets foot inside the batters box as a professional. The possibility of being drafted by (or signing for) a National League organisation means that young pitchers are going to need to have their hitting somewhat honed in their formative years. The lack of Designated Hitter shows the importance of balance, not only on the diamond but off it. You might not be able to be the greatest at everything but it’s vital to have a range of applicable skills. It might seem peculiar but pitchers hitting adds purity to the game. To remove it changes not only the game, but the course of history.